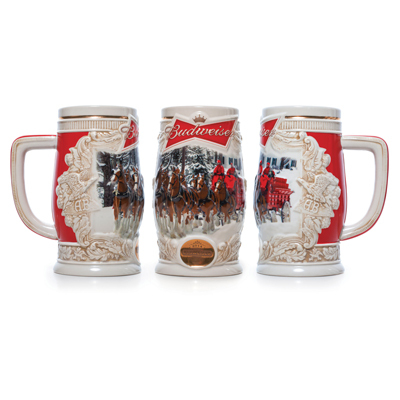 THE 2014 BUD HOLIDAY STEINS ARE NOW AVAILABLE! Bud has been making these high quality, collectable mugs for over 30 years now. Keep your collection going strong or start a new one today for only $19.80 each.